Discover this beautiful youth giving gift, powered by gardenia plant stem cell technology for a smoother, lifted and shaped complexion. 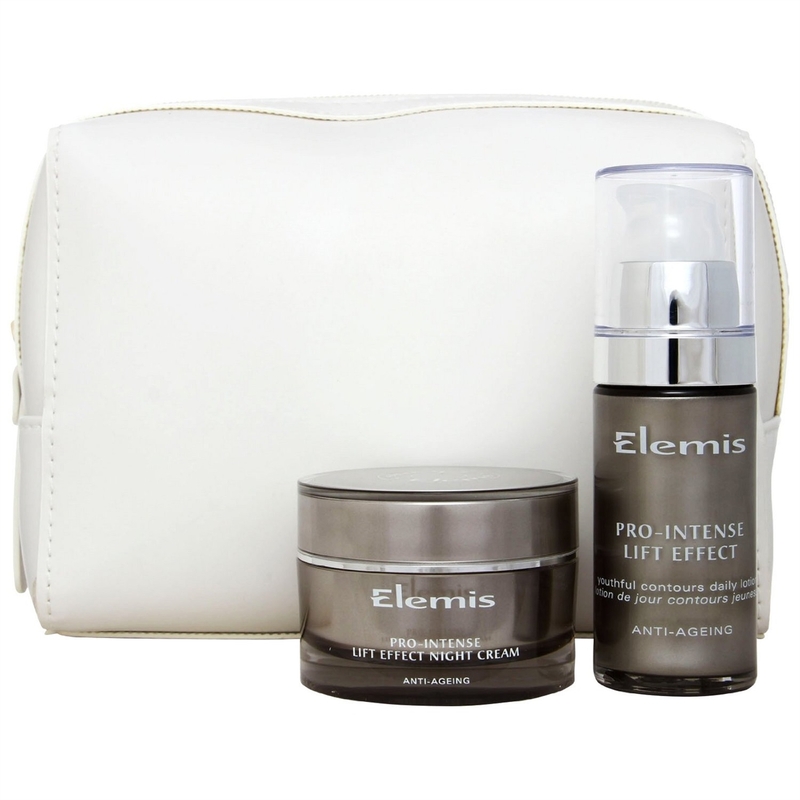 Collection Includes: Pro-Intense Lift Effect / 30ml (full size) - This daily lotion triggers a significant improvement in the appearance of facial contour sagging. It helps improve the tone and texture, giving the appearance of a firmer jawline and taut cheeks. Pro-Intense Lift Effect Night Cream / 30ml - This lift effect firming night cream combines cutting-edge plant stem cells, super-lifting arjuna, and facial-shaping lupin, to help reduce the appearance of sagging jowls, cheeks and chin. $221 Value! You save $91.50! Elemis FreshSkin Skin Clear Treatment Gel .5 Oz Elemis British Botanical Skin Softening Body Cream 1.6 fl oz Elemis Skincare Essentials: Cream Cleanser 6.8 Fl Oz., Toner 6.8 Fl Oz., Cellular Recovery Capsules 14 x .21 mL. Elemis Voyage of Discovery Bag Set: Pro-Radiance Cream Cleanser Special Edition 1 Fl Oz., Gentle Rose Exfoliator .5 Fl Oz., Pro-Collagen Marine Cream 1 Fl Oz., New British Botanical Shower Cream 1.6 Fl Oz., New British Botanical Body cream 1.6 Fl Oz.